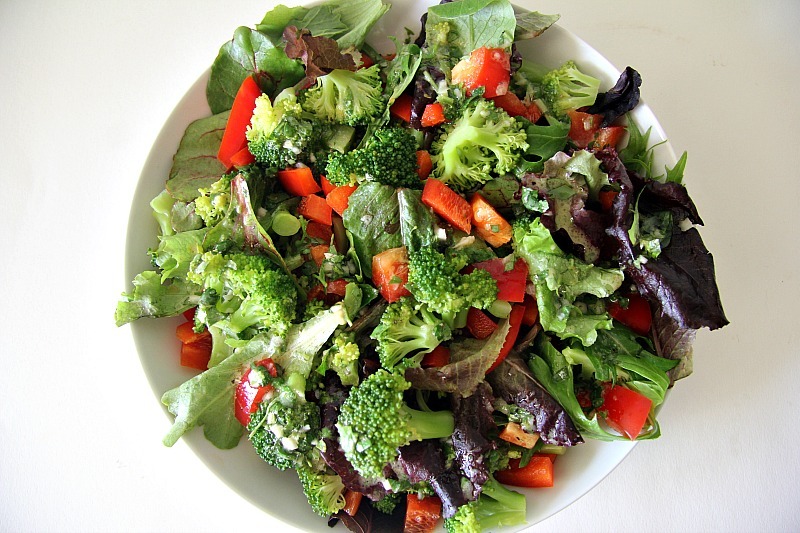 An easy broccoli and red pepper salad that is bright and colourful. 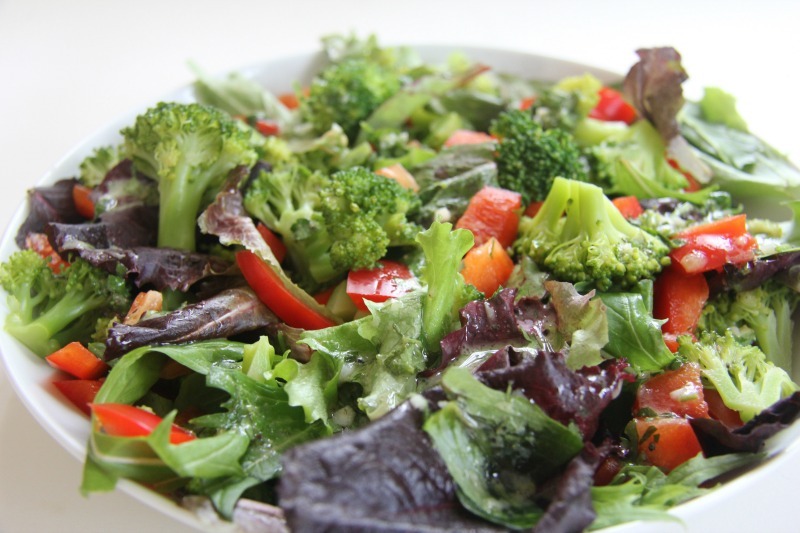 A nutritious and healthy salad that can be made in under 15 minutes. We were having a large lunch on a Sunday and I wanted a salad to alongside my main vegetarian dish. As I had already roasted most of the vegetables in the fridge, I was left staring at a solitary stalk of broccoli and one red pepper. So, I got chopping. 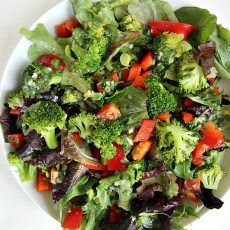 I was pleasantly surprised as the salad dressing is simple but goes so well with the broccoli and peppers. This salad may be easy but it’s very tasty. 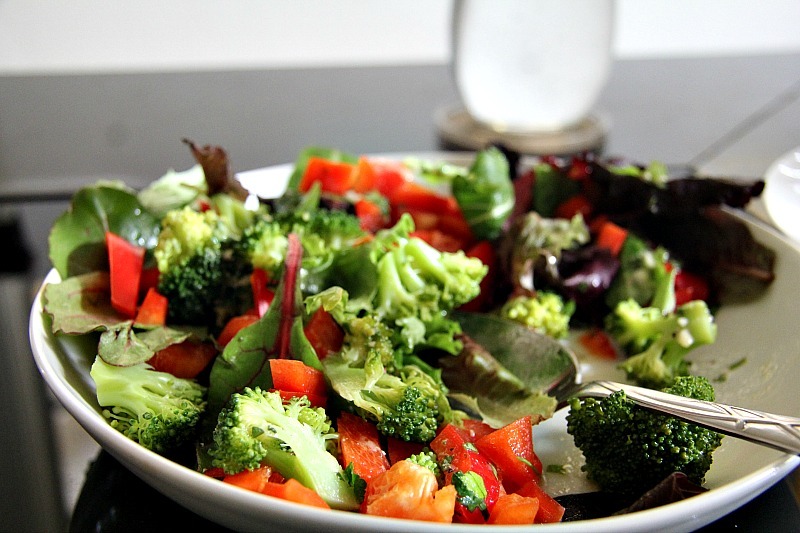 The red pepper has a slight sweetness that goes so well with the broccoli too. I enjoyed it so much that I went in for seconds. The rest of the afternoon was spent on the sofa snoozing. So happy was I with this “throw it in a bowl and see” salad that I made it again that week. It did not last the day as I had it for lunch and dinner. 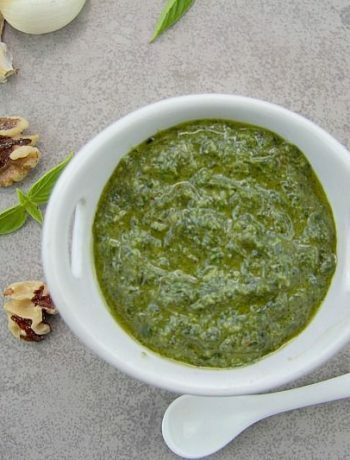 I always think that a salad is raised by its dressing. 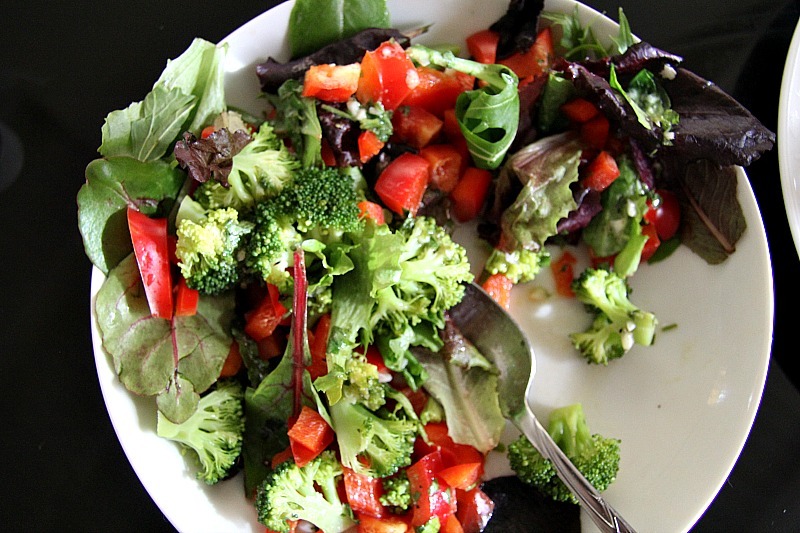 A piece of broccoli can be elevated with a dash of mustard, oil and vinegar! Although I used white wine vinegar here, I wonder about trying it with balsamic. Probably only a tablespoon though as it’s stronger in taste. Taste as I go along is the answer! Now I am thinking of dunking some breadsticks into balsamic vinegar and oil. It seems ages ago that every other restaurant or gastro pub had dishes of oil and balsamic vinegar for dipping. Can’t recall the last time I saw that, or perhaps it’s just my time in the Caribbean. I think it is time I reached for the coconut flour and baked some breadsticks. When you are standing in front of the empty fridge looking for inspiration, a couple of vegetables can help you put a tasty dish together. Or failing that you make a frittata out of it! Blanch the broccoli in a saucepan of boiling water, then rinse under a cold tap. Dry with a paper towel. Remove the seeds from the pepper and cut into small chunks. Add the broccoli and red pepper. Pour over broccoli and red pepper, toss gently.